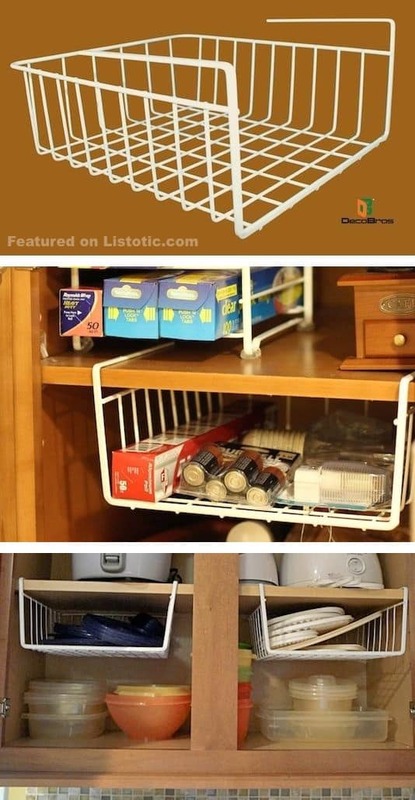 Hanging shelf dividers are also useful in taking advantage of empty space. I love this idea for smaller and lighter items, such as tupperware lids, plastic plates, or things like foil or plastic wrap. 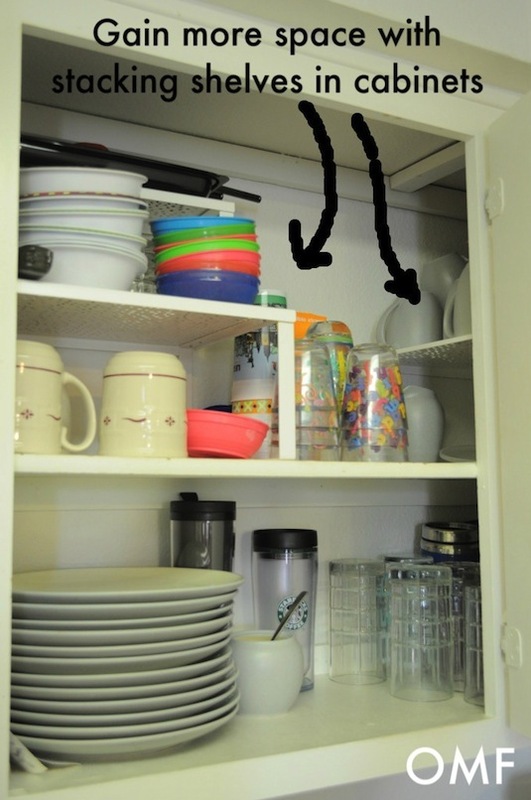 This is kind of like the idea behind a hanging shoe rack, only made for items kept under the kitchen sink. 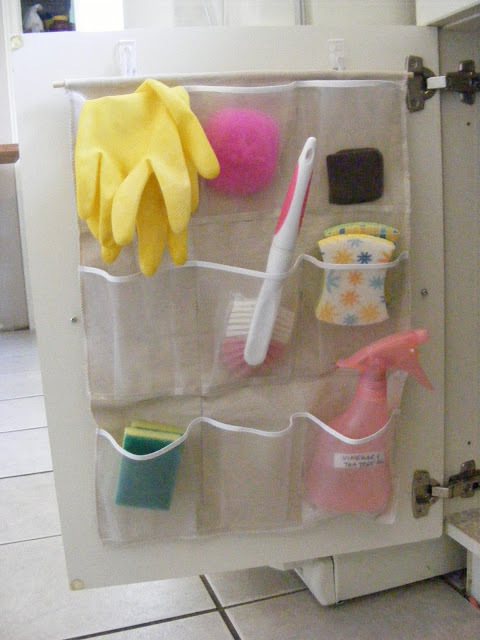 It’s a great way to keep your sponges and gloves out of sight to dry off. I also like this idea for the smaller items that tend to get lost under the sink, like the sink plug, small brushes, and Windex wipes.